Rappers Meek Mill and Jay-Z launch criminal justice group - SABC News - Breaking news, special reports, world, business, sport coverage of all South African current events. Africa's news leader. Tags: Jay Z, Meek Mill, REFORM Alliance, Van Jones, Robert Kraft, Clara Wu Tsai, Michael Rubin, US criminal justice system. The group's creation comes less than a year after Mill, 31, was released from jail after his harsh sentence for a parole violation sparked protests against racial biases in US probation laws. 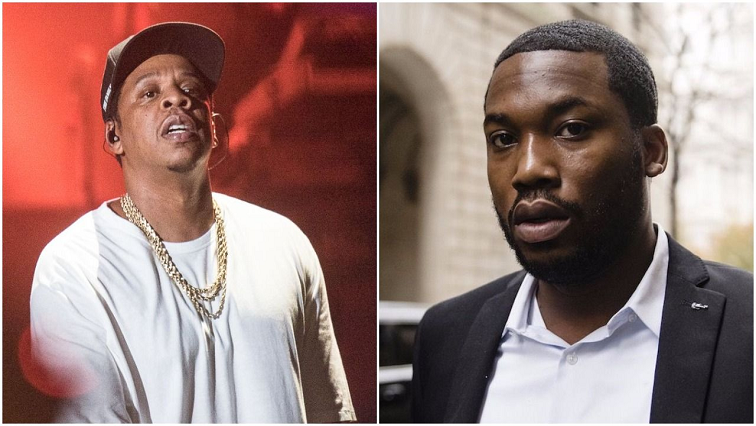 Rappers Jay-Z and Meek Mill announced Wednesday they are launching a new criminal justice reform organization aimed at “dramatically” reducing the number of people in the US prison system. The group’s creation comes less than a year after Mill, 31, was released from jail after his harsh sentence for a parole violation sparked protests against racial biases in US probation laws. REFORM Alliance is putting an initial $50 million toward “disabling the revolving door of probation and parole,” by “changing the laws, policies, and practices that perpetuate injustice,” according to its mission statement. Along with Mill and Jay-Z, founding partners of the group include CNN commentator and justice advocate Van Jones, who will serve as the organization’s CEO. The owner of the National Football League’s New England Patriots, Robert Kraft, along with National Basketball Association team co-owners Clara Wu Tsai (Brooklyn Nets) and Michael Rubin (Philadelphia 76ers) have also put their weight behind the cause. “I’m here to speak for all the people who don’t have a voice,” said Mill, who was born Robert Rihmeek Williams and raised in North Philadelphia, an area notorious for drug violence, by a single mother after his father was killed. Well before he ascended to rap stardom, Mill was jailed on drug and possession charges in 2008 and re-imprisoned in 2017 after a Philadelphia judge handed down a term of two to four years for a parole violation. His incarceration triggered a public outcry, and Mill’s case became a flash point in the national conversation over the US criminal justice system’s treatment of black people. His celebrity backers included activist and football player Colin Kaepernick and Jay-Z, who penned an op-ed in The New York Times on his fellow rapper’s behalf. “Being from the environment I’m from, I don’t even think it’s possible for you to be an angel,” Mill said at the unveiling of REFORM. “You grow up around murder on a daily basis; you grow up in drug-infested neighbourhoods on a daily basis. I got caught up in the system, and every time I started to further my life with the music industry, every year or two there was always something that brought me back to ground zero,” Mill said. REFORM’s current goal is to free one million people from the system in the next five years, with an initial focus on parole and probation. There are some 6.6 million people in the US criminal justice system, according to the Bureau of Justice Statistics, 4.5 million of them on parole or probation. Jay Z Meek Mill REFORM Alliance Van Jones Robert Kraft Clara Wu Tsai Michael Rubin US criminal justice system. This entry was posted on 23 Jan 2019,08:30PM at 8:30 PM and is filed under Lifestyle, Homepage Featured Story Slider. You can follow any responses to this entry through the RSS 2.0 feed. Both comments and pings are currently closed.